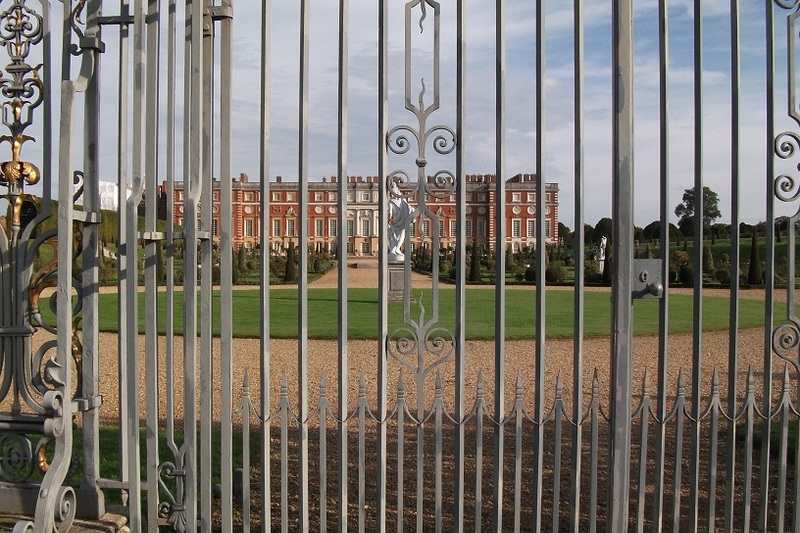 I left my B & B and walked the short distance past Hampton Court Palace back to the river. 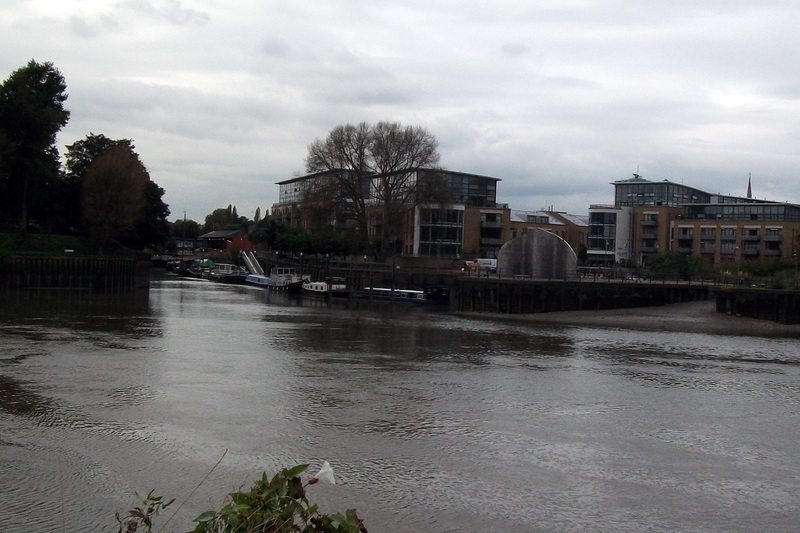 I then walked along the Barge Walk which goes along the north bank of the Thames. It goes all the way to Kingston Bridge where I crossed to the south bank. 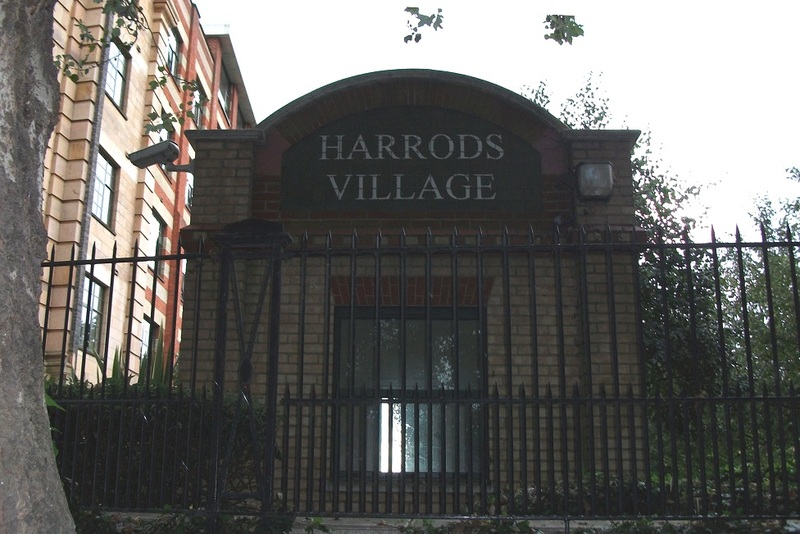 There, in the basement of John Lewis, were the remains of a merchants house and footings of the old bridge. 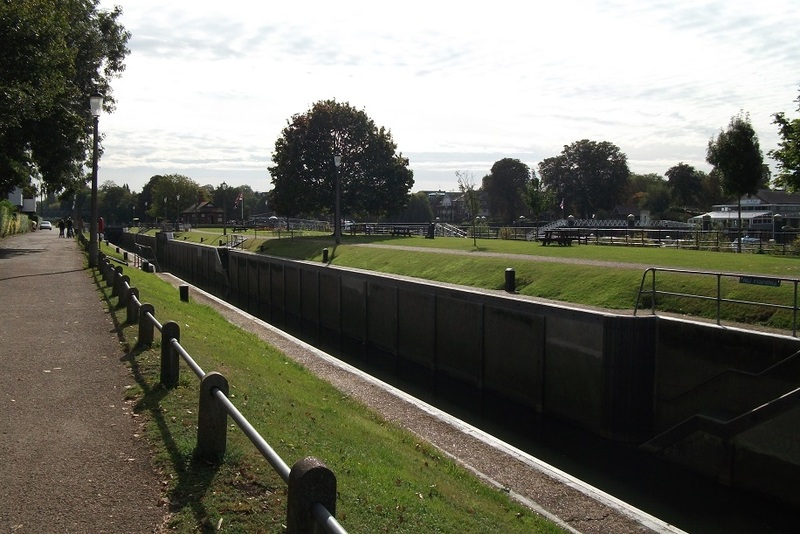 Here, the path goes through gardens and then gravel paths to Teddington Lock.This is a large lock complex with 3 separate locks and marks the beginning of the tidal river. 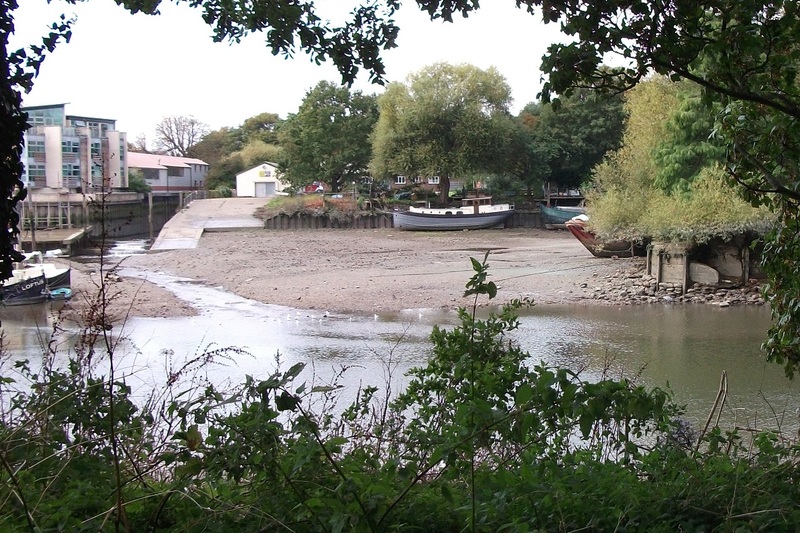 The gravel path continues on the south bank through woodland and meadows past Eel Pie Island, Ham House and Marble Hill. The path here is liable to flooding at high tide, but today the tide was out. 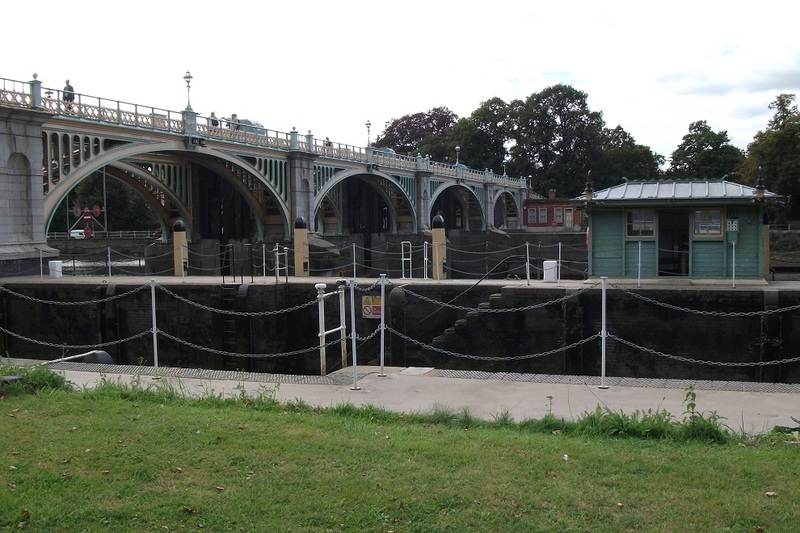 At Richmond Lock and Weir, boats only use the the lock during high tide. Then it is Richmond Bridge and the rural path continues. 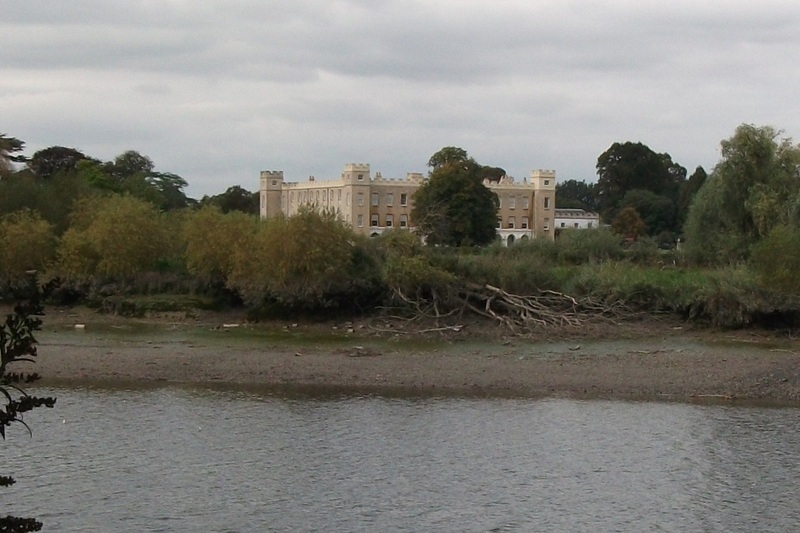 I ate my lunch by Kew Gardens with a view of Syon House across the river and aeroplanes roaring overhead. 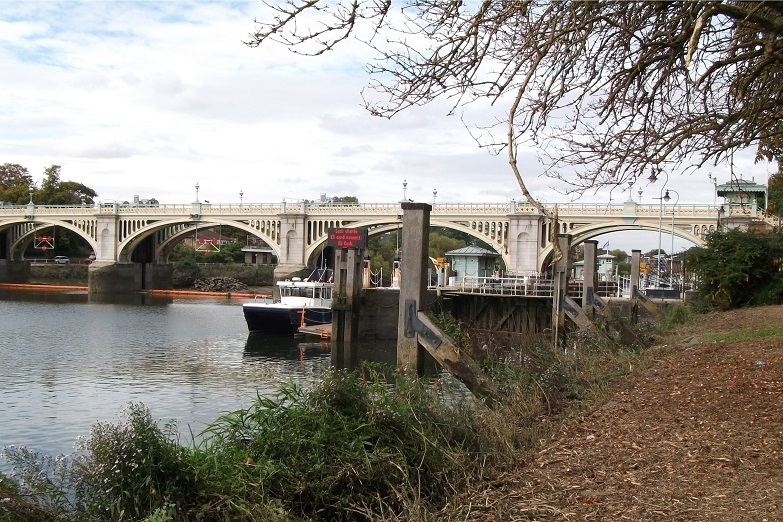 As I continued on there was the junction with the Grand Union Canal on the opposite bank at Brentford and then it was Kew Bridge. 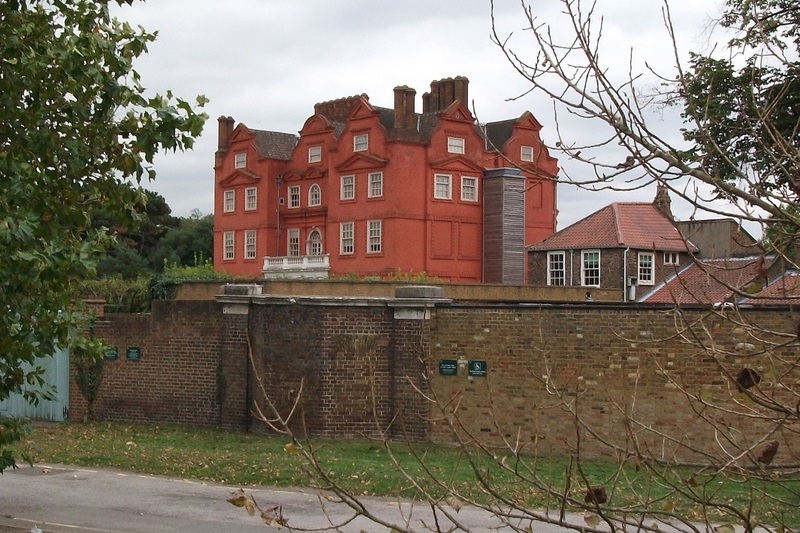 After passing the back of the National Archives the path continues on to Mortlake where the brewery is now owned by Budweiser. The path on the river is rough here but the smell from the brewery is great. 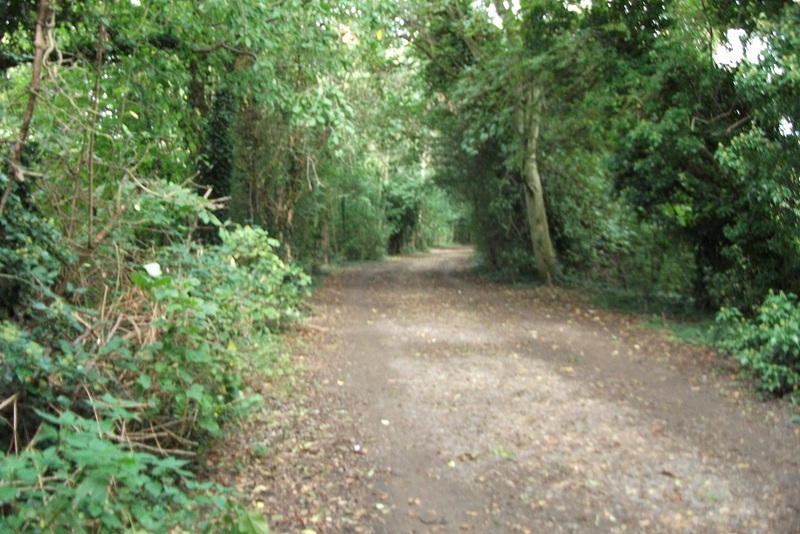 After Barnes Bridge the path is a very pleasant gravel, tree lined walk. Now we are getting into rowing country again with boat houses on both sides. 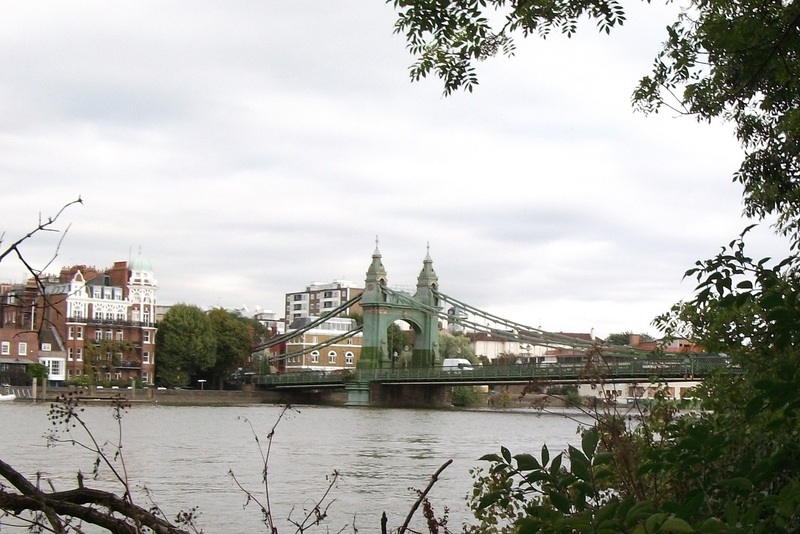 Under Hammersmith Bridge and past the Harrods Furniture Depository Building, which has been converted to apartments to the London Wetland Centre it is still pleasant and feels miles from city life. 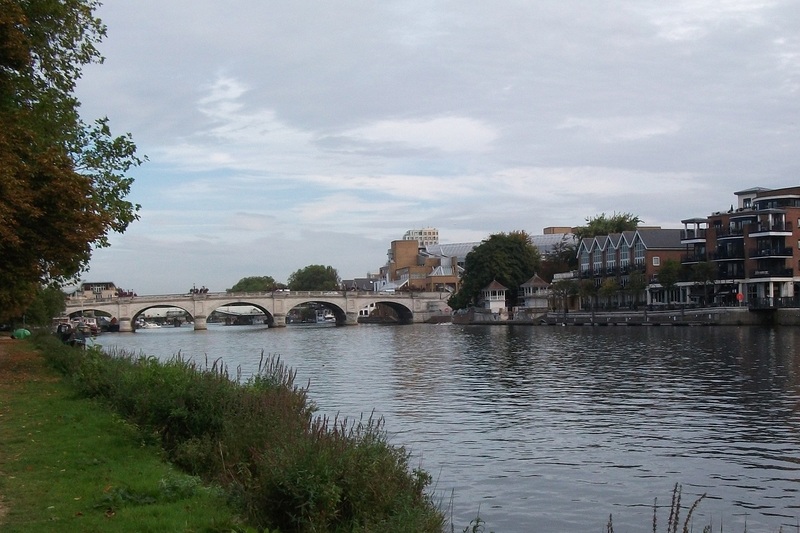 On the opposite bank is Fulham Football Club. 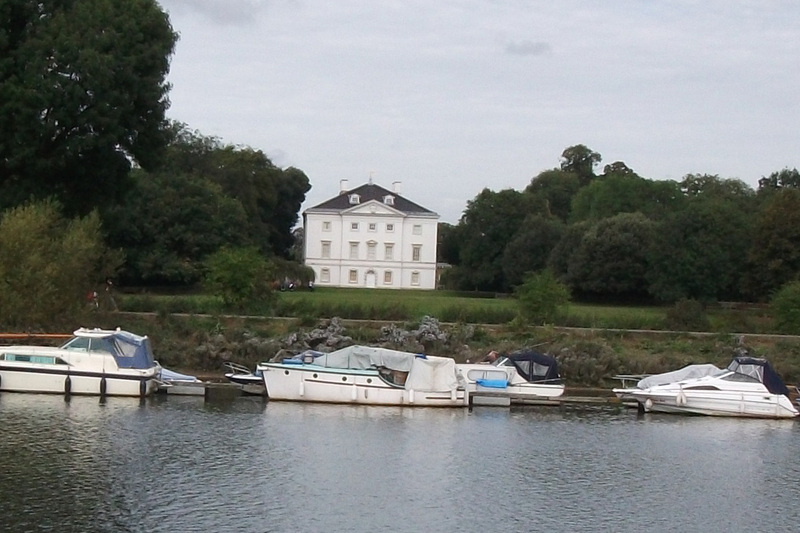 On the embankment walk up to Putney Bridge I passed many more boat houses, such as Imperial College boat house and Dulwich College. At Putney Bridge I left the river and found the railway station where I caught a train to Vauxhall and our hotel. 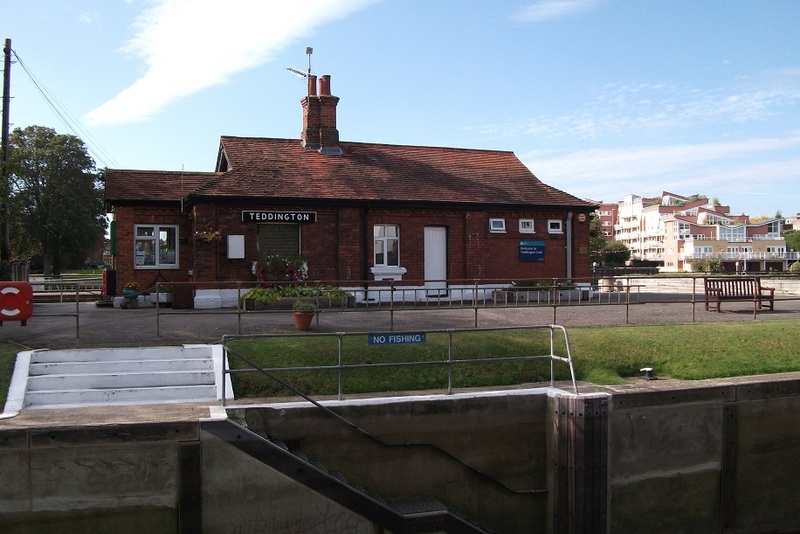 Hampton Court Palace; Kingston Bridge; Teddington Lock; Teddington Lock; Rural path near river. 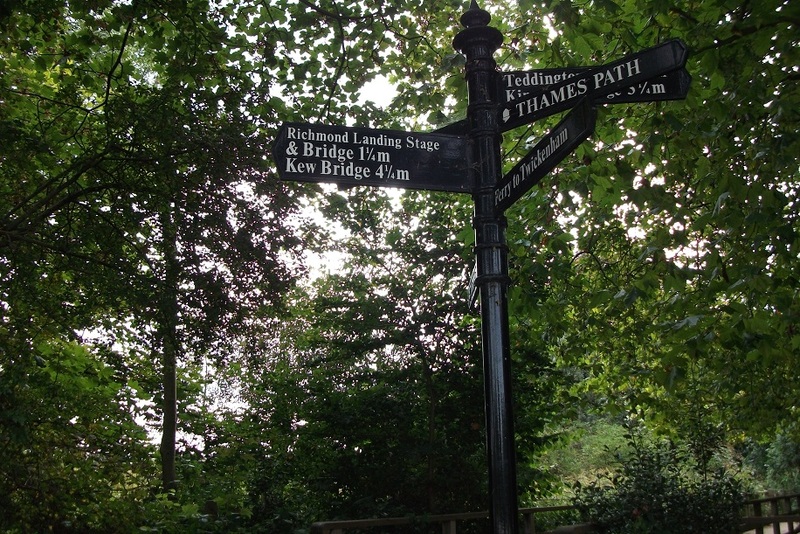 Signpost on Thames Path; Marble Hill House; Richmond Bridge; Richmond Lock; Low tide on Thames. 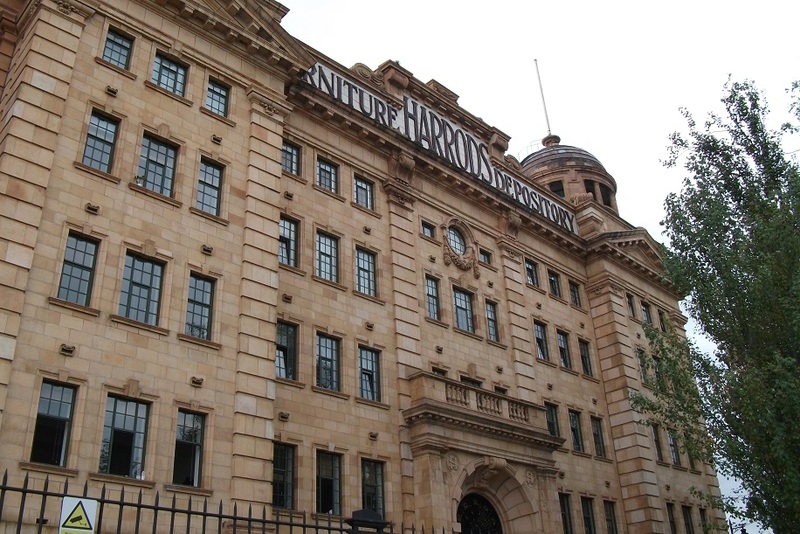 Syon House across the river; Entrance of Grand Union Canal; Kew Palace; Hammersmith Bridge; Harrods Furniture Depository converted to apartments and called Harrods Village.